The safety and comfort of the blaster is paramount – the Airblast range of Personal Protection Equipment ensures that a tough job is made a little bit easier and can be conducted in the safest possible manner. Blasting Helmets: Nova ,Astro and Extreme. Blasting suits made from heavy cotton with leather reinforcement. HAF Air Filtration system with optional CO Monitor providing clean safe air for the blaster. 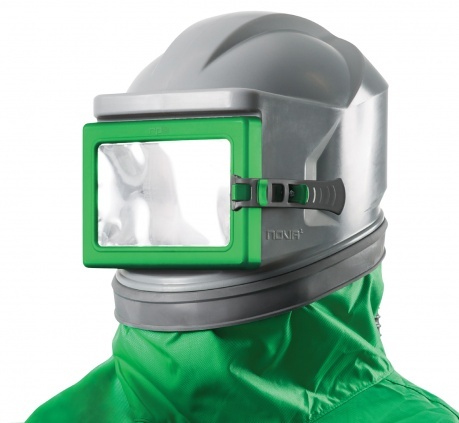 Cool tube air conditioning system to provide warm or cool air to the blasting helmet preventing the ingress of dust and ensuring comfortable breathing.